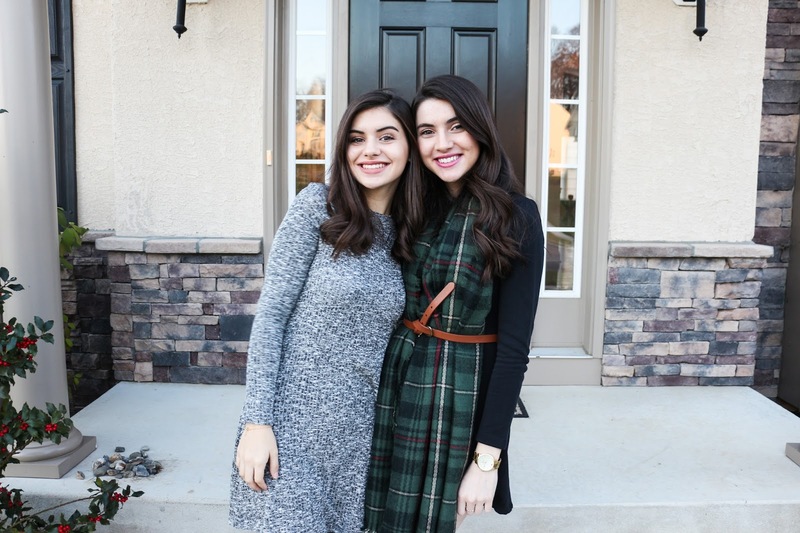 Meet my sister Rachel! Check out her Instagram! I wore this outfit on Thanksgiving and I thought it was the perfect mix of casual and holiday style! 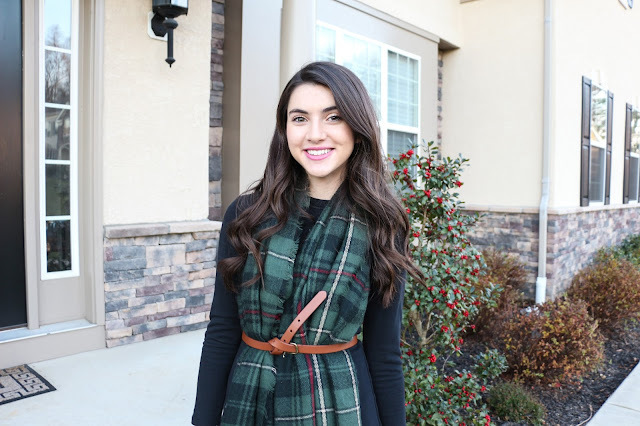 The scarf was a recent purchase from the boutique I work (I couldn't find it online but I linked a similar one) at and I've been wearing it practically everyday since...it is SO cozy, super chunky, and the perfect tartan print! I decided to try wearing the scarf tucked under a belt and I was surprised by how much I liked the look (I thought I would be too short to pull it off!) 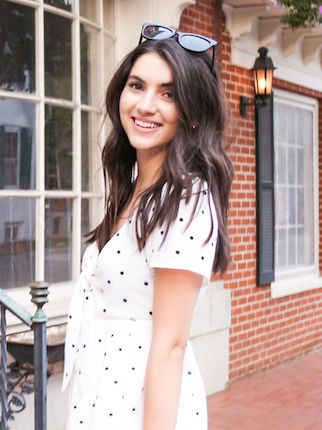 This look was so easy to put together and makes the perfect outfit for this time of the year! Ps. I know it has been a while since my last post but I'm happy to be getting back into the swing of things! Let me know what you want to see on the blog in the comments below! You look absolutely gorgeous in this post! I love the way you tied your scarf with a belt - it's so unique and festive.